I have reviewed each of these books for the next issue of the Australian magazine Ufologist due out just before Christmas. 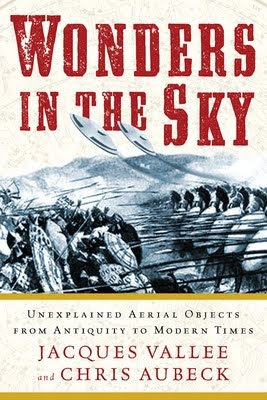 “Wonders in the Sky” is an important contribution to the debate as to whether a UFO phenomenon as we relate to today existed back in ancient times through to 1879. Jacques Vallee is well known in the UFO field and his 1969 book “Passport to Magonia – From Folklore to flying Saucers” is perhaps an inspiration for “Wonders in the Sky.” Both have major catalogues of cases, the former “A Century of UFO landings (1868 – 1968)” and the latter a catalogue on a much longer time scale. 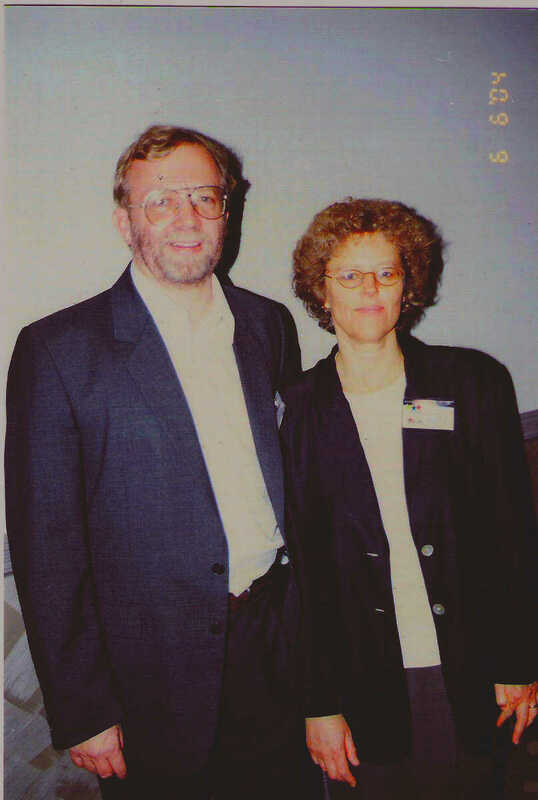 Chris Aubeck is the coordinator of the Magonia Exchange List which since 2003 has functioned as a network of researchers focusing on pre-1947 UFO events. Only two Australian cases make the listing: No. 408 1828 Mount Wingen and No. 474 1868 Parramatta. The Mount Wingen case is of questionable value as its 1828 date is uncertain. The account claims a cigar-shaped object landed and implies the incident may be the cause of the long known “Burning mountain” connection. This latter aspect is not noted in the Vallee/Aubeck compilation but should have been mentioned by way of context, as the account is of folkloric quality and its connection to when the coal seam started burning is uncertain. The 1868 Parramatta case – the very strange contact experience of Frederick Birmingham – is much better documented. I conducted a very detailed investigation of the story in the latter part of the 1970s and early 1980s. It is one of the most fascinating and detailed Australian historical cases I have come across. While I have a great interest in these historical cases, I think it is a matter for further research and debate as to whether there is credible evidence prior to the early 1800s of the UFO phenomenon as we know it today. Jacques Vallee and Chris Aubeck have made a valuable contribution to the debate. 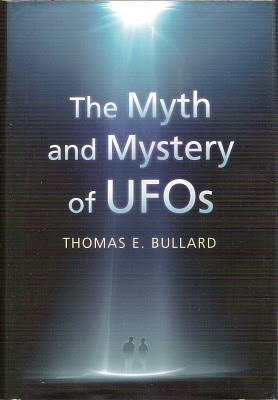 Dr. Thomas E. (Eddie) Bullard has given us another brilliant contribution in his new book “The Myth and Mystery of UFOs” published by University Press of Kansas. 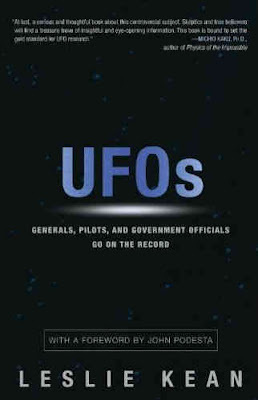 They also published the excellent academic primer “UFOs & Abductions – Challenging the borders of Knowledge” edited by David Jacobs (2000), which included a chapter by Bullard – “UFOs: Lost in Myths.” That contribution is an impressive stepping stone to his deep, insightful and compelling current book “The Myth and Mystery of UFOs.” This book is an outstanding contribution to the field and a necessary and compulsory read for anyone who considers they are taking this subject seriously. While his folkloric background reveals how the UFO subject has undeniable mythic themes coursing through it and that the field is often its own worst enemy, Bullard does not avoid the conclusion that there is something of value beyond the myth that deserves serious attention. Something of substance remains, which should be examined by mainstream science. While the mythic aspects invite “psychosocial” explanations, and Bullard examines these in great detail, he ultimately argues there is more to the subject. 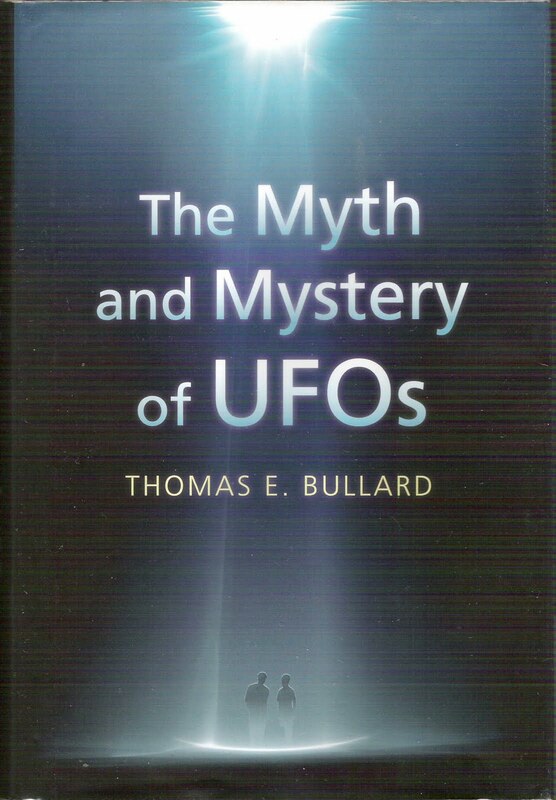 Dr. Bullard’s “The Myth and Mystery of UFOs” should be read by a wide audience, particularly those who profess to know what is really going on. It may shake their fondly held beliefs and positions, but ultimately it will help calibrate a more serious engagement with the UFO mystery. 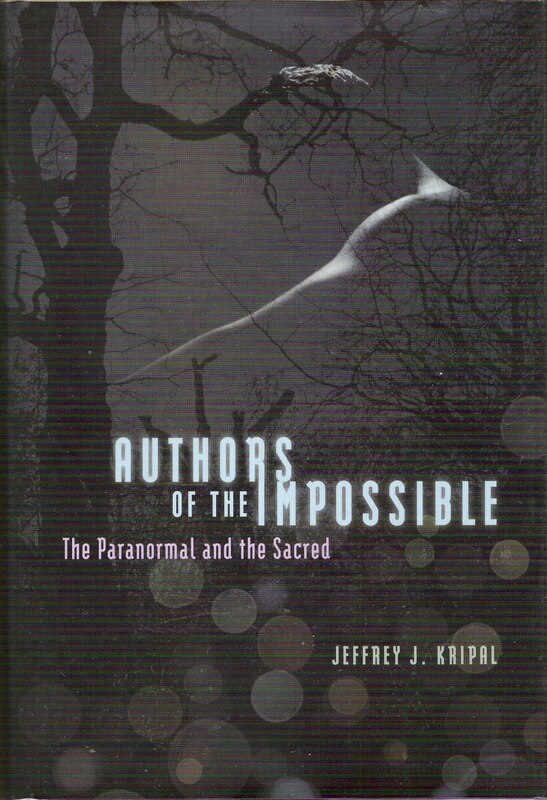 Jeffrey Kripal new book “Authors of the Impossible – The Paranormal and the Sacred” has been published by the University of Chicago Press. 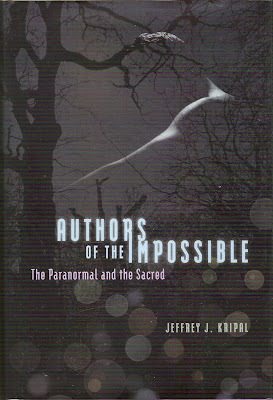 The book is a fascinating study anchored in the work of four major figures in paranormal research. One of them is well known in the field of ufology, namely Jacques Vallee – author of numerous UFO works, including “Passport to Magonia,” (1969) “The Invisible College,” (1975) “Confrontations” (1990) and “Forbidden Science” (1992). Kripal’s study provides a very detail insight into Vallee’s path and contributions. The other 3 are psychical researcher Frederic Myers – author of the classic study “Human Personality and its survival of bodily death” (1903), writer and humorist Charles Fort – author of the ground breaking “The Book of the Damned” (1909) and philiosopher and sociologist Bertrand Meheust – author of “Science Fiction and Flying Saucers” (1978) and “A Seer Extraordinaire” (2003) – a study of Alexis Didier, a gifted 19th century “magnetic” seer. Jeffrey Kripal’s “Authors of the Impossible” is well worth reading. For UFO students it will broaden their horizons. 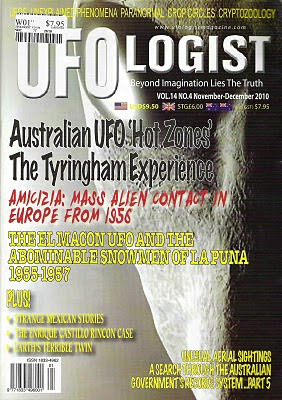 Check out the full reviews and other fascinating material, including my "Australian UFO 'Hot Zones' - the Mount Butler milieu" in the Ufologist's next issue out just before Christmas. Leslie Kean concludes in her important book in a similar vein arguing for a new agency to scientifically examine the UFO phenomenon in a more appropriate way. Indeed she responds to the standard sceptical argument that “extraordinary claims demand extraordinary evidence” with Budd Hopkins perceptive response: “An extraordinary phenomenon demands an extraordinary investigation.” Until that becomes a substantial part of the established mainstream response to the UFO phenomenon Leslie Kean’s book “UFOs” will stand as a powerful signpost in the argument for taking the UFO subject seriously. This book deserves to be read far and wide. It might just provide the catalyst for the turning point needed in this much maligned and neglected mystery. 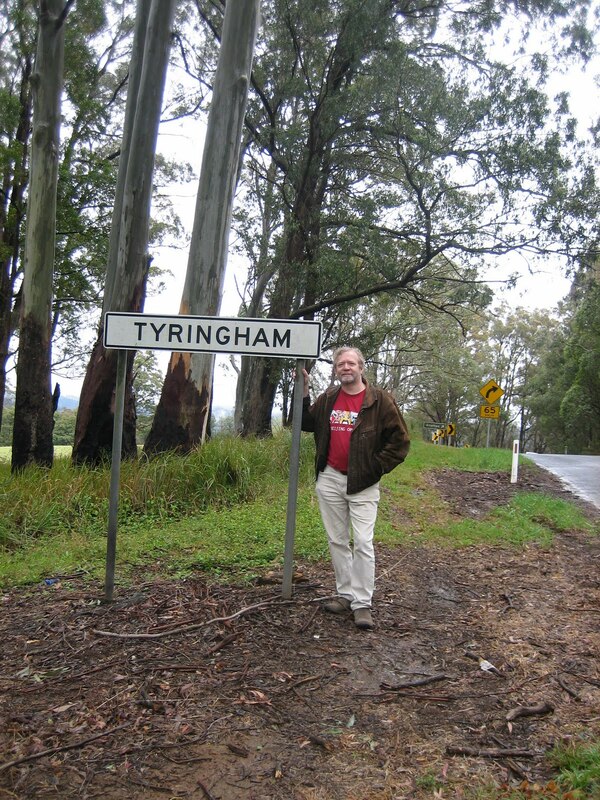 The current newstand issue of the Australian magazine Ufologist features an article I wrote: "Australian UFO 'Hot Zones' - The Tyringham Experience"
What I call UFO “hot zones” are those areas where an extraordinary depth of the UFO phenomenon is experienced. They are also UFO flap areas but are more accurately viewed as very localised “UFO flaps.” Such areas offer us an extraordinary opportunity. One of the more frustrating aspects of the UFO phenomenon is its unpredictability. One of the mainstays of the scientific method is the repeatable experiment. In the case of an unpredictable and elusive phenomenon this is rather hard to organise. Occasionally UFO phenomena occur in specific localities for an extended period. Such areas continue to regularly reveal manifestations of the UFO mystery and provide researchers like myself tantalising but generally frustrating opportunities to attempt real science. The challenge for researchers is to locate such areas and to participate in an organised and instrumented way to document flaps in an objective manner. 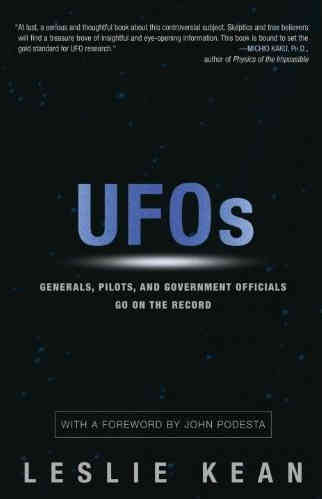 Such strategies provide researchers with potent opportunities for interacting with the UFO phenomenon. 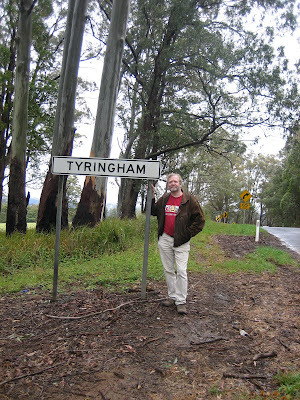 While I have investigated many localised flap areas such as the Blue Mountains near Sydney, Kempsey, Coonabarabran, St. George, Tully, and Leitchville-Echuca, and gathered information about others such as the Grampians, Wycliffe Well and Toowoomba, none came close to the intensity of personal experience that I experienced during the 1973 Tyringham flap." I continue the Australian UFO Hot Zone theme in the next issue of the Ufologist out just before Christmas with the Mount Butler milieu - UFOs, entity "possession" and all that kind of stuff!